My name is Stella Grabarić, a graphic design student at the University of Zagreb, Faculty of Architecture, School of Design in Croatia. 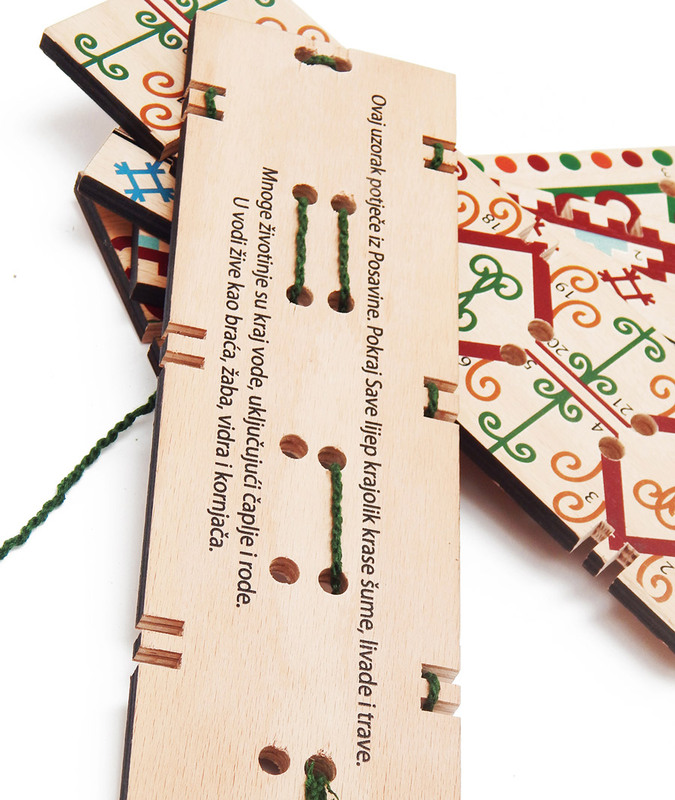 One of my school projects was to make an authentic Croatian toy for children of preschool age. I made ‘Vezaljka’ out of wooden boards and string. 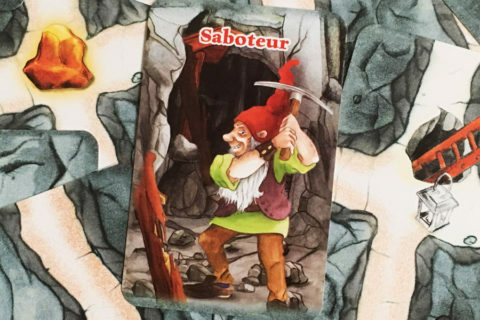 My task was to find inspiration from Croatian heritage, explore all aspects of the chosen topic and make an interesting game that will teach children about the old Croatian costumes. My inspiration for Vezaljka was Croatian embroidery, which is often found on Croatian national costumes. The national costumes are most often worn at special events and celebrations, such as ethnic festivals, religious holidays, weddings and by dancing groups who dance the traditional Croatian “Kolo” or “Circle Dance”. One of the goals of this school project was to raise children’s awareness about the Croatian costumes and traditions. Another goal was to help develop fine motor skills, patience and logic, as well as encourage children to count and to recognize colors and paths. 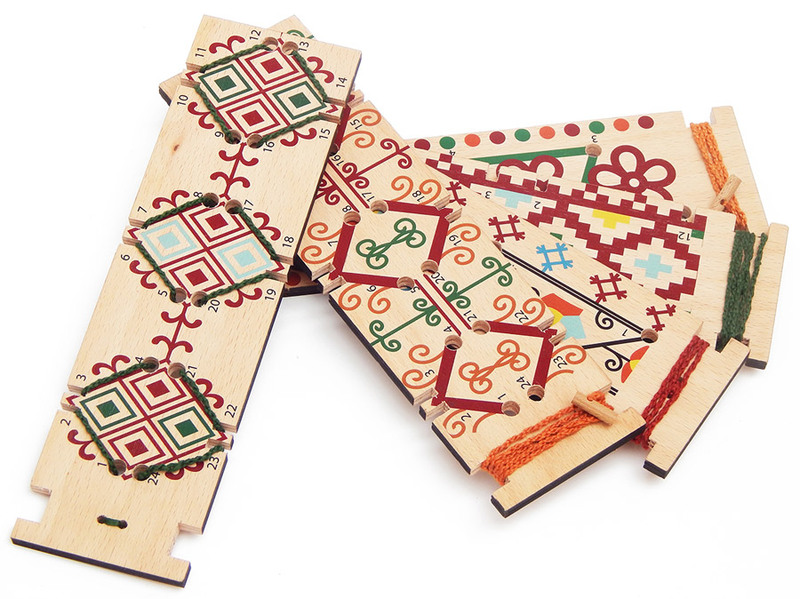 The goal of Vezaljka is to pull the string through the little holes on the boards. 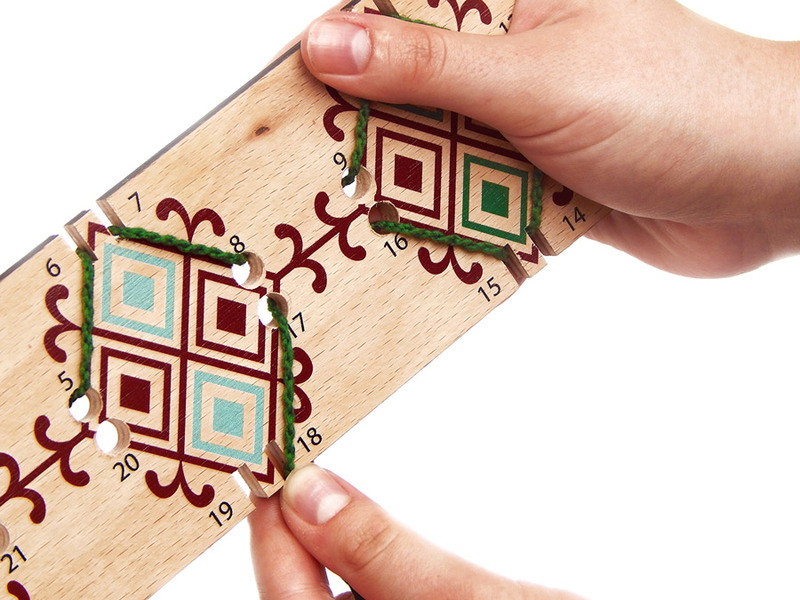 Holes are followed by numbers so that the child knows in which order to pull the string through the holes. At the end of each string is a little wooden roller which, in this case, is replacing a needle that is used in the real embroidery. 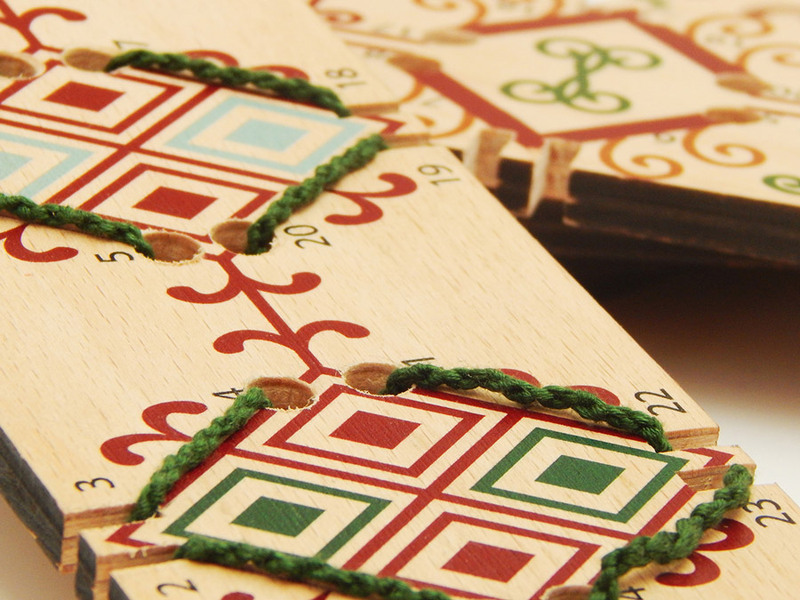 The game is done right when the string aligns with the motif on the board. 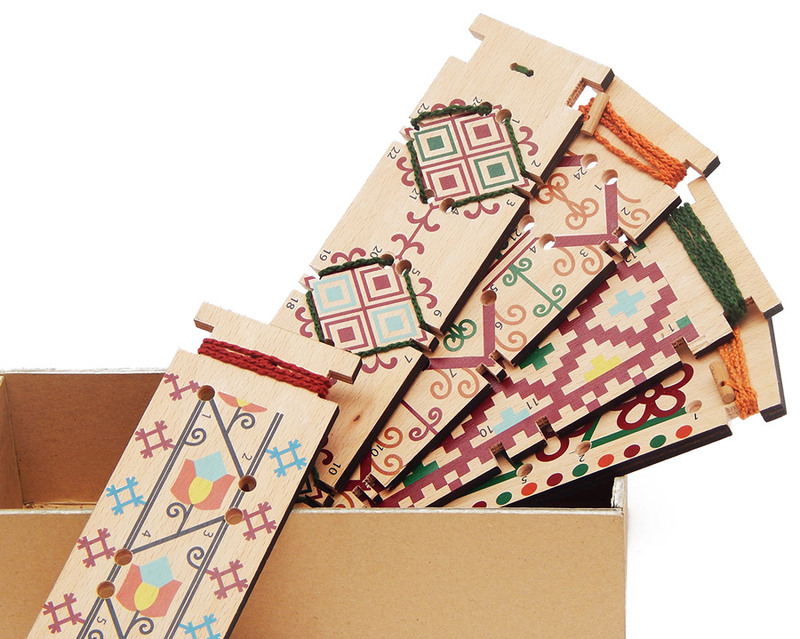 Vezaljka has its own simplified graphics, which are inspired by traditional Croatian embroidery. 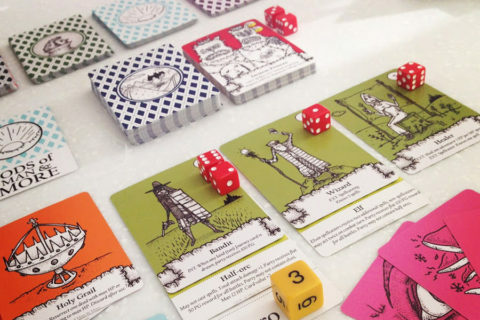 The graphics are directly drawn from the samples of the folk costumes of the various Croatian regions. 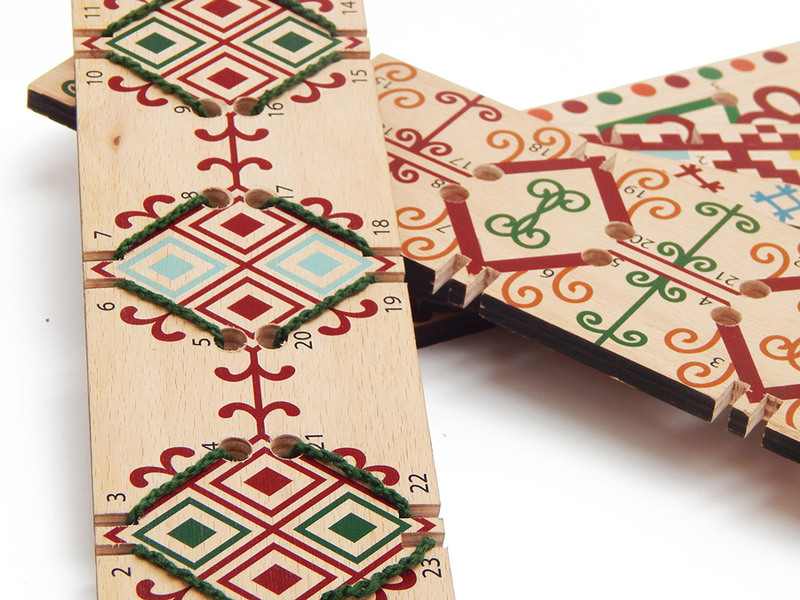 The motifs are printed on the boards using a UV printing method and each of the motifs on the boards originate from a certain Croatian region. 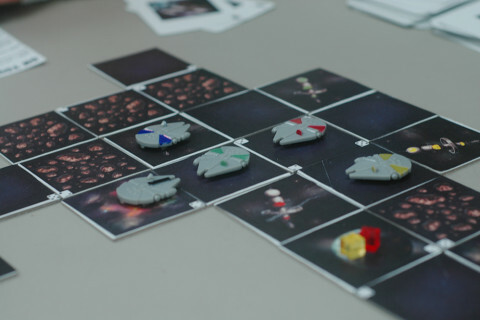 When turning the boards to the other side, something funny and typical for that specific region can be read. Two notches have been made on one side of each of the wooden boards, which is important for storing the boards in a box without getting the ropes tangled. By pulling the string through the little holes, the child develops fine motor skills. 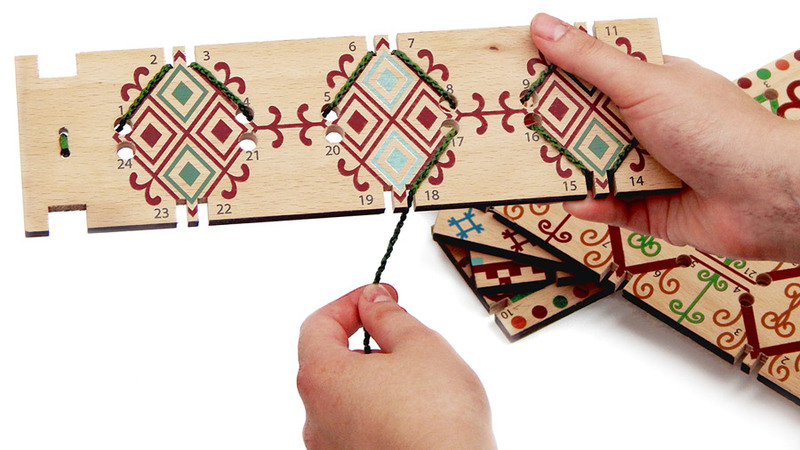 In line with the project’s goals Vezaljka encourages children to count and it also develops a sense of logic, because children need to follow the numbers on the boards to be sure that the string will align with the motif on the board. Love this! Looks really creative for the kids 🙂 Is it for sale somewhere?